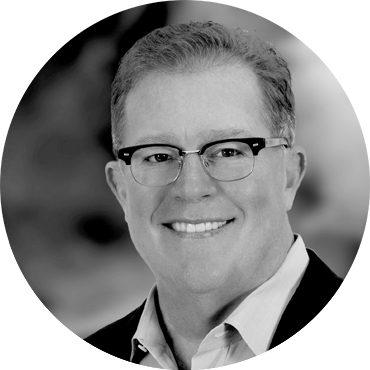 As founder and CEO of FWC Consulting, Bill Conner helps organizations through his expertise in cybersecurity, SaaS, data networks, M&A, marketing and sales. A corporate turn-around and cybersecurity expert, Conner has been at the forefront of the evolution of the Digital Information Age. From leading key divisions of AT&T, to taking Nortel into data with the $9 billion acquisition of Bay Networks, to his work to secure digital identities with Entrust, and bringing secure communications and privacy from the consumer to the enterprise through mobile and cloud with Silent Circle, Conner has been the vanguard of four of the Digital Information Age’s most transformational technology shifts. After Silent Circle, Conner expanded his influence and leadership in internet security as President and CEO of SonicWall, the North American market share leader in internet security appliances for small and medium enterprises. When Francisco Partners acquired Comodo Certification Authority (recently rebranded Sectigo), it looked again to Conner for leadership, naming him Chairman of the Board of this industry leader in SSL security certificates with more than 200,000 customers in 150 countries. Conner was recognized with the Federal 100 award, which the government bestows to the top 100 individuals and organizations impacting the U.S. government, and has been recognized with the Corporate CEO of the Year Award as part of the annual Tech Titans Award program. He’s defined and created new markets before they existed and seized the opportunity by expertly positioning himself to enter the market as a leader. Drawing from his experience with Nortel’s Enterprise Data Networks and his time in operations at AT&T, Conner was intimately involved with the Nortel Data Security startup. In 1998, Conner and the Nortel Data Security management team took the business unit through an initial public offering, creating Entrust Inc. Prior to his appointment as President and CEO of Entrust in 2001, Conner held leadership positions on Entrust’s board and executive positions in Nortel, including Chairman of Entrust’s Board of Directors, Nortel’s first Chief Marketing Officer, President of Enterprise Data Networks, and President of Enterprise Networks and e-Business Solutions. In July 2009, Conner and his executive team took Entrust private through an acquisition by private equity firm Thoma Bravo and sold the company in 2013 to DataCard. In January 2015, Conner became President and CEO of Silent Circle. In this leadership position, Conner leveraged his experiences at Entrust, Nortel and AT&T to quickly re-position the company into an enterprise privacy focused business, bringing secure communications to the enterprise through mobile and the cloud. To enable enterprise privacy management capabilities at Silent Circle, Conner built and delivered an award winning privacy smartphone, a unified (voice, teleconferencing, data, messaging, video) enterprise-grade privacy app, and a cloud based infrastructure, successfully repositioning the company from consumer to a broader enterprise focused organization. To expedite success, Conner focused on overhauling the product suite, from a re-engineered device, to consolidation of disparate security smartphone apps, to creating true “SaaS” enterprise management capabilities along with a financial reset and corporate restructure. Upon taking Entrust private, Conner reset corporate priorities to take advantage of new market dynamics in Digital Identities and SaaS to generate organic growth. This shift began in a time when technology sectors, cybersecurity in particular, were undergoing tremendous and tumultuous change. As mobile devices and cloud computing became drivers of organizations’ buying behavior, Conner invested heavily in technological innovations to help organizations realize the potential gains presented by these technologies. Conner expanded Entrust’s digital certificate offerings, drawing on his belief in the strength of digital certificate technology. This culminated in 2013, with Entrust organically growing cloud and software-as-a-service revenue, now accounting for roughly 60 percent of product revenue, and subscription revenue providing nearly 70 percent of total revenue. Focusing on security solutions for the cloud and software-as-a-service, Entrust is one of the few software companies to successfully transition from a mainly perpetual-based model to subscription-based revenue stream. By the end of 2013, under Conner’s leadership, Entrust met and exceeded each year’s revenue and EBITDA goals first set by Thoma Bravo in 2009. This strong financial performance helped lead Thoma Bravo to the position of one of the largest private investor in security software and technology. Conner’s growing conviction of the massive opportunity and critical need for greater internet security led him to Silent Circle, where he helped launch its Capture Advanced Threat Prevention Service. This cloud-based service has analyzed millions of suspicious files for its clients using multiple engines to help prevent attacks and automatically deploys remediation techniques. With Sectigo, he has been part of expanding the use of SSL certificates within the exploding growth in online and IoT traffic. A strong believer in helping consumers, enterprises and governments to navigate continuous technology and legal shifts, Conner dedicates time and resources to resolving global, national, and local issues across these sectors. ©2017 FWC Consulting. All Rights Reserved.